Where art is concerned, is the medium as important as the message? 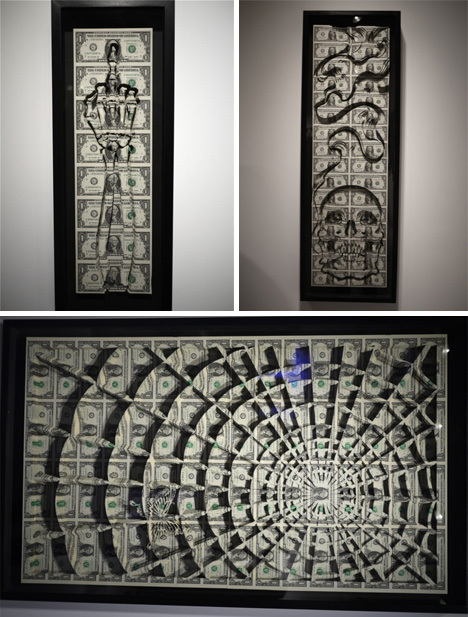 In his 2011 exhibition Noblesse Oblige, tattoo artist Scott Campbell explores some unconventional materials that call into question our perceptions of that unique relationship. 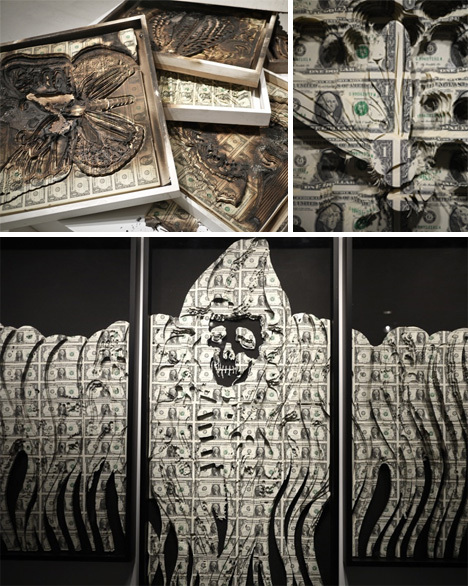 His series of carvings made of uncut U.S. currency throw together unparalleled opulence (wasting money) and working-class imagery. 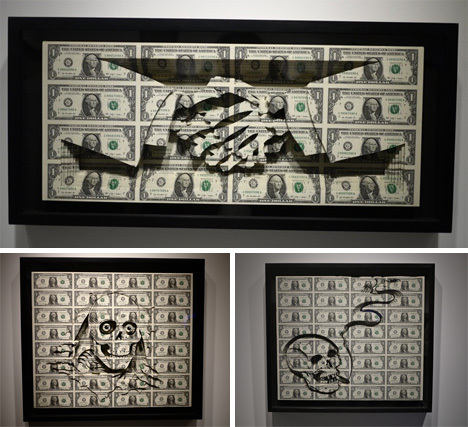 Campbell’s history as a tattoo artist shows through in the images he carves into huge stacks of American money. Relying heavily on skulls, skeletons, butterflies and other pictures that would be at home in the pages of a flash book in a tattoo studio, these unusual sculptures are truly a study in differences. 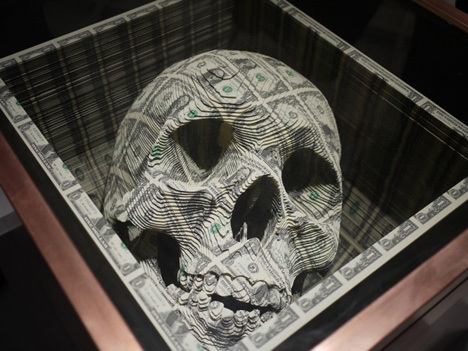 The most-publicized piece of the show, a three-dimensional skull in a box, is made up of more than $11,000 in stacked, uncut sheets of real currency. The money speaks of opulence and privilege, but the skull inside brings to mind a far more down-to-earth mentality. These pieces, with their tattoo art sensibilities and the over-the-top abundance of their materials, present a strange type of experience for fine art lovers. Much like the artists who paint with their own blood or box up their own excrement, the medium changes the message. 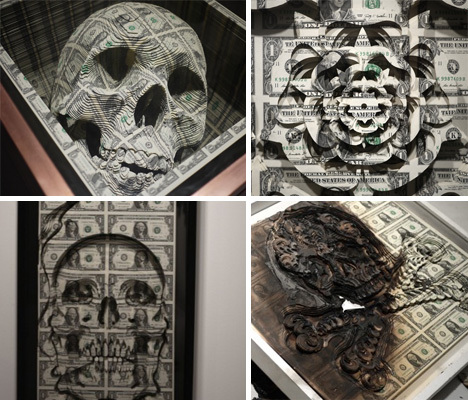 Imagine the same pieces carved instead into plain white paper. They would be considerably less striking, regardless of the obvious skill of their creator. We are drawn to juxtapositions like these because, collectively, we enjoy the visual surprises that come from fine art being rendered in an unexpected medium.